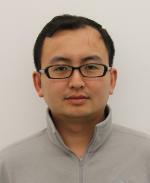 My research focuses on dynamic modelling for microgrid and distribution systems, developing algorithm and framework for microgrid energy management system. My long term goal consists of developing foundational theories and tools to analyse and design the diverse, yet highly integrated and efficient future urban energy system. My research has been interdisciplinary in nature, exploiting the hybrid electrical, gas, and thermal energy system using modelling and mathematical tools including optimization, dynamical systems, and control. Renewable and various types of energy storage systems (electrical and thermal) are also included in my models.